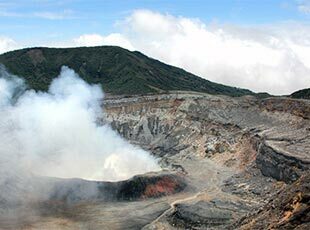 While a hotel can get you close to Costa Rica’s dense rainforests, active volcanoes, and extensive beaches, our Costa Rica adventure tours put you right in the center of the action. 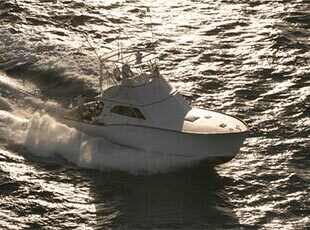 Enjoy private half-day and day Costa Rica tours with us. 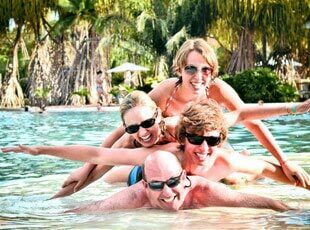 The perks: our 24/7 In-country Travel Experience Team will provide great service, unbiased info about any area/tour you’d like to participate in, and help so that you can experience the adventure side of Costa Rica like no one else! 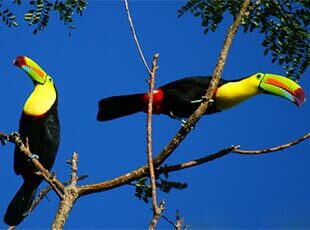 Which Costa Rica tour is best for you? 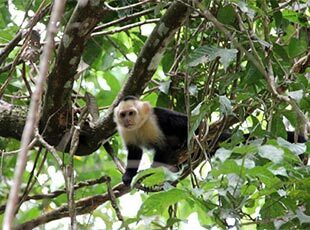 Costa Rica is the land of many tours – a place where you can go white water rafting in the morning, spot monkeys and toucans in the afternoon, and wind down the day at natural hot springs. 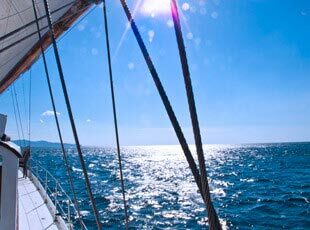 The country’s diversity of things to do and places to see promises hours of relaxation, adventure, activity, and leisure: in other words, Costa Rica vacations perfectly tailored to your preferences. 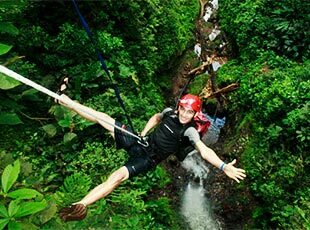 Adventure tours are steeped in adrenaline, from Costa Rica’s iconic canopy zip lines to waterfall rappelling. And when you’re ready to relax after the wild ride, leisure tours step in with bubbling hot springs, rainforest massages, and luxe spa treatments. 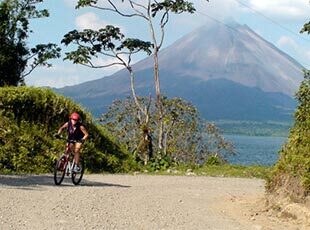 Of course, Costa Rica is most famous for its nature offerings, and you’ll find plenty of tours to lead you into the great outdoors: national park hiking, birdwatching tours, canoeing into mangrove forests, and more. Get your game face on for sport tours, which extend to old favorites like horseback riding and mountain biking, and up the game with new standbys like sea kayaking and Costa Rica’s world-famous sportfishing. 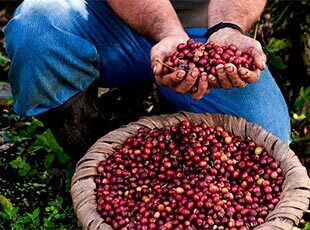 Top it off with cultural tours and get a deeper look at Costa Rican life, on coffee and chocolate tours, visits to indigenous villages, and other fascinating insights. If time is short, carpe diem! Some of our best tours combine a little of this and a little of that, to create Costa Rica vacation packages like no other. 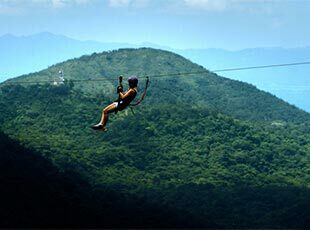 Take to the thrilling zip lines of a canopy tour that winds through a monkey and sloth-studded forest; sail out to snorkel Pacific reefs and witness an unforgettable sunset; and hike a volcano before settling in for Mother Nature’s massage in steamy, thermal hot springs. 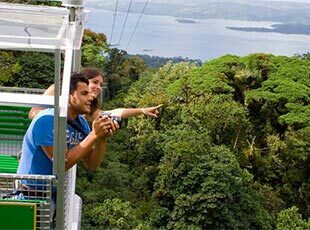 With these tours, Costa Rica is at your fingertips.